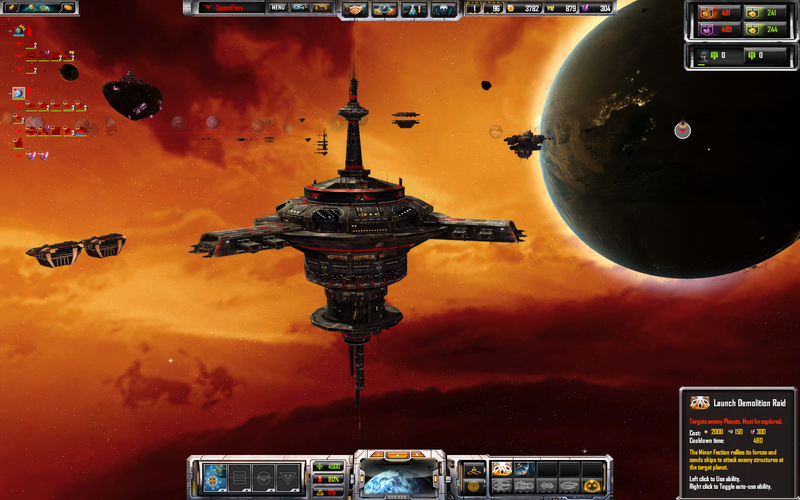 Stardock and Ironclad Games will release a brand new DLC for their popular real-time 4X strategy game, Sins of a Solar Empire: Rebellion, Monday, December 17. 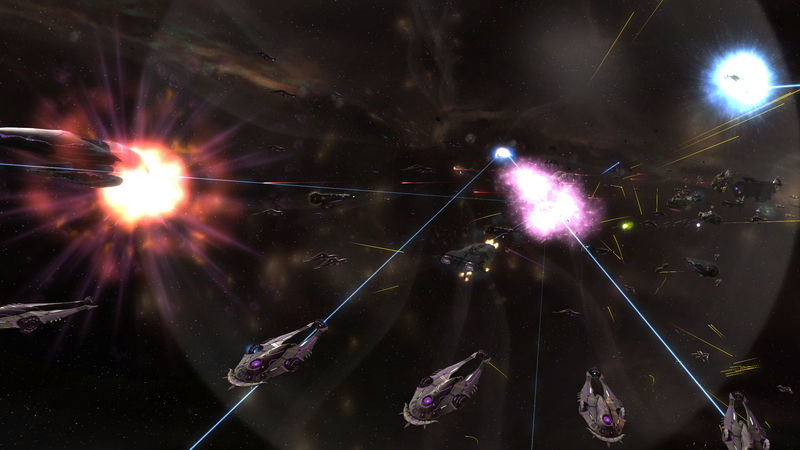 Minor Factions adds 15 brand new minor factions, bringing a whole new strategic dimension to the game. Players will need to compete against their enemies to exert control over upstart forces that have emerged outside the boundaries of the great powers. In Minor Factions, players will need to persuade the factions to join their empire through the use of diplomatic envoys. Convincing these factions to ally with them will grant the player access to their unique abilities and advantages. 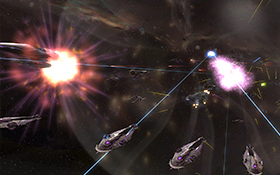 The DLC includes 15 new minor factions like the fanatical Nilari Cultists, who indoctrinate nearby populations for their suicidal rampages, or the Grost Scrappers Union, which can perform armor retrofits and convert obsolete frigates into profitable scrap, and the Viturak Transport Cabal, who will grant access to black market Vasari travel technology. Each of the 15 factions provides abilities and advantages that are unique to their theme and role, including mercenaries, xenophobes, pacifists, used ship dealers, demolition experts, resource miners, resistance fighters, arms dealers, and more. Sins of a Solar Empire blends the epic strategy and empire management of the 4X genre with the tactical elements of real-time strategy. You are the leader of a civilization embroiled in a galactic war, fighting for the survival of your entire race against relentless foes, and every decision you make counts. Sins of a Solar Empire: Rebellion - Minor Factions is $5.99 and will release on December 17, 2018. I just might get back into the modding field. Still hoping for Sins 2. First of all, this sounds awesome! What am i reading... did not see this coming. Awesome! Also a great way to address some of the larger balance issues to the game. I can't wait to play it! I had almost forgotten that sins existed... Then out of the blue, DLC! You mean how a tiny swarm of corvettes can easily destroy a titan class warship that boast amazing abilities and firepower? I hope these type of balance will be addressed. They are suppose to be able to take down a titan class warship. That is their main target. The issue was that they could also do so to capital ships and flak ship fairly easily as well. The 1.93 patch which goes with the DLC will address that. It wasn't the case from the beginning of their introduction until everyone started complaining about Titans being "too opt". Titans were ripping corvettes to shreds and were easily crushed giving Titans extreme XP for level upgrades. Then the patch came to nerf Titans and buffed corvettes which in my opinion started all these corvette spam that were really annoying. What time today will it go on the market? Woo!! Will this be coming to the GOG store any time soon? Hey guys, sorry for the late response to your GOG question. We hope to get it up there soon and will let you know when we have concrete plans. Thanks for the reply, although I'm having a bit mixed feelings at the moment. It sounds like bringing it to GOG is not a priority (or at least not a "concrete plan"). It would be extremely sad for players that supported the game on that platform to end up with an obsolete version of the game compared to Steam users. It somewhat turns the good news to see a new DLC into bad news. Hopefully, you will find it relevant to deliver it on GOG and find the ressources to make that move. There are quite a few people ready to pay, eagerly waiting for this expansion and who don't consider Steam as an option (outside of the DRM issues, switching to Steam also implies buying the whole stuff again, including for the friends I play with). In short, when starting to offer a game on a platform, it should be treated equal all the way when it comes to content (and if I may, it should also be the case when it comes to delivery dates). Maybe I misread between the lines and the plan to deliver is already pretty advanced. But maybe you're still hesitating and I hope this humble message will weight in favor of the right decision. Thank you for the reply. I'd like to respectfully echo Ryo_Wufei's sentiment about non-Steam users feeling like an afterthought and the desire for parity between distribution platforms. Looking forward to any updates you might have. Hopefully a GOG release isn't too far behind; the DLC sounds intriguing and would be the perfect excuse to get back into the game again! Is there any updates for us GOG version owners out there? 3 months later Stardock is starting to roll out a 1.94 beta on steam. Yet us on GOG only recently got the 1.93 patch, not even the DLC...What on earth is happening? Well that is a kick in the teeth for us GOG users who went out of our way to support Stardock/Ironclad on the new platform. I'm curious as to exactly how resource intense it is to deploy the same DLC package to a different distribution platform. Especially since GOG supports automatic deployment of patches, etc.. I felt like I should put down a short post-mortem and customer feedback. No clear communication on the topic but a vague "no concrete plans" for a start (it looked pretty bad from day 1 but still, many of us still had hopes and patience is usually a virtue). No follow up from Stardock despite the growing worries of the GOG community for several months. Final answer found 3 months later, on another thread, on another channel, but not relayed by the community management on every relevant forum topics (I can't monitor every potential channel). Now, what does this mean in terms of long term impact for the GOG users? Well, I can acknowledge we are officially seen as unimportant or negligeable. In light of this, I may have serious second thoughts when I'm tempted by another Stardock product... It does not mean I won't buy anything for you in the future. It's just that until now, mentioning Stardock used to put a smile on my face. It's no longer the case.